Sydney Credit Union is a progressive, full-service, cooperative financial institution with more than 14,000 members and over $175 million in assets. When you open an account at Sydney Credit Union, you uniquely become both a member and an owner. As such, their relationship with all of their member/owners is based on their commitment to empower you to make the best decisions for your financial well being. They do this by offering you their complete line of competitive financial products and services, customized for your individual needs, combined with wise financial guidance…every step of the way! At Sydney Credit Union, they always consider your convenience and ways to save you money when recommending products for your daily needs and in planning for your future security. They offer personal and commercial loans and mortgages, a variety of savings and chequing accounts, a complete line of MasterCard® products, RRSPs, RRIFs, RESPs, online banking, competitive loan and investment rates, full financial planning, superior personal service and much more! 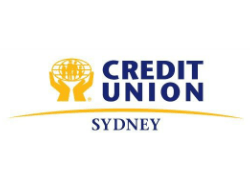 Since Sydney Credit Union’s inception in 1935, they have always responded to the changing needs of their members and continue to innovatively meet your needs.